This text covers July 6-14. My travel companion was my boyfriend, Obi. 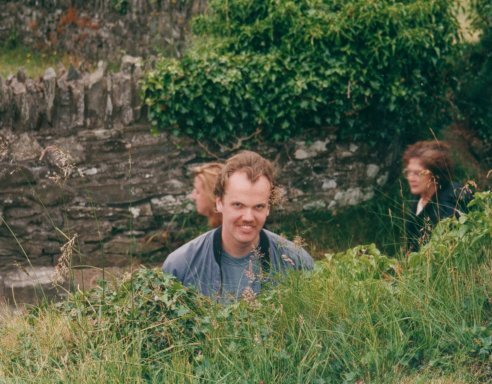 We had overnight stays in Dublin (Clontarf), Enniscorthy, Thurles, Killarney and Dublin (Malahide). 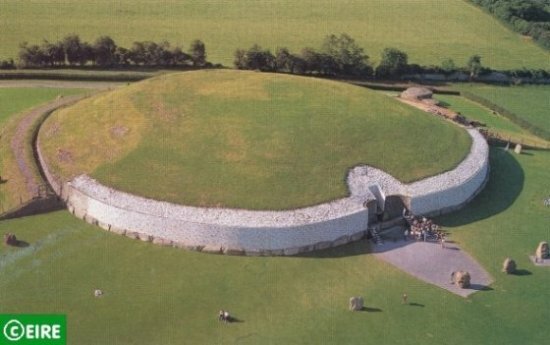 We were on coach trips from Killarney (Ring of Kerry) and Dublin (covering Newgrange and other points of historical interest). 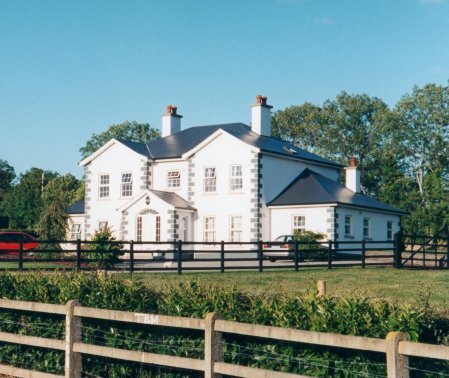 Lemongrove House in Enniscorthy was the best B&B we encountered on this trip. 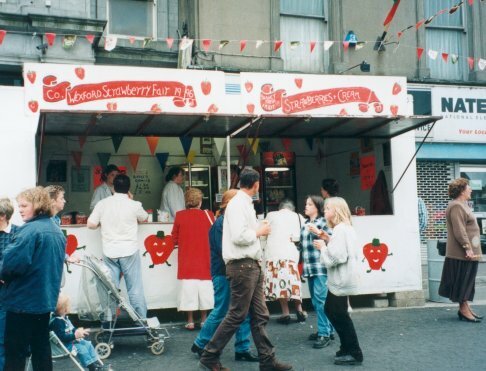 As it happened, Enniscorthy was having a strawberry festival while we were there. Enniscorthy also have an attraction very dear to us. 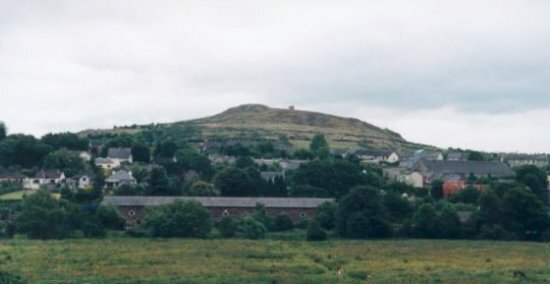 Vinegar Hill. 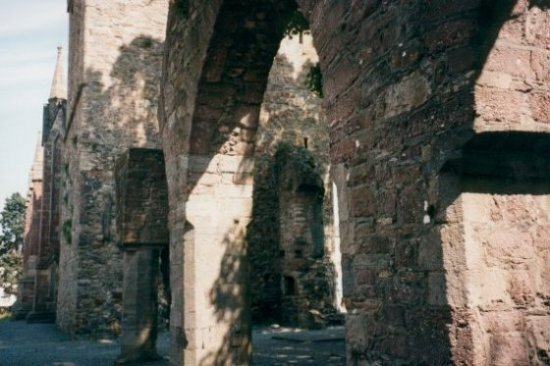 Wexford has a nice ruin. We don't even know it's name - it just looked nice. 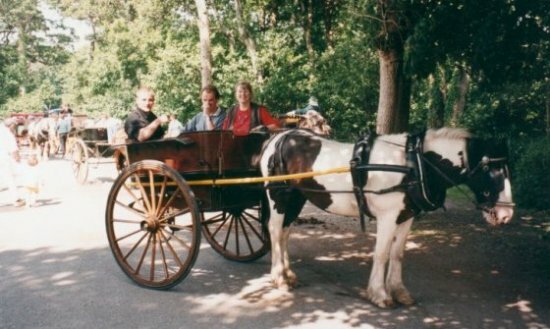 In Killarney, we went on a horse-and-buggy trip around the town. 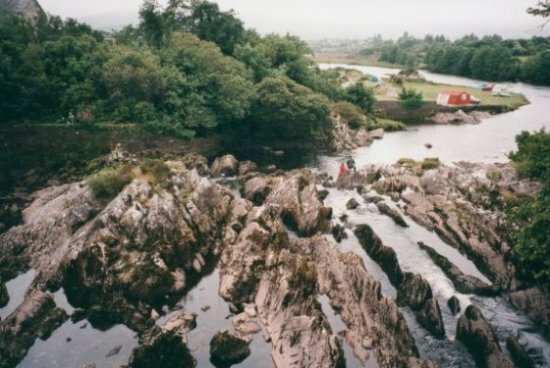 The Ring of Kerry trip took us to Sneem. Nice waterfall, don't you think? The high point of the trip: seeing Brugh na Boinne.